Shauna is a 3rd year PhD student in the school of Electronic Engineering in DCU. She has a B.Sc in Chemical and Pharmaceutical Sciences and a M.Sc in Biomedical Diagnostics, both awarded by DCU. Her research is focused on the development of nanopatterning semiconductor materials using block copolymers and plasma. Valentín Rigoni graduated from Universidad Nacional de Cordoba (Argentina) in Electrical and Mechanical Engineering. He holds a MSc degree in Electrical Engineering from Politecnico di Torino (Italy). 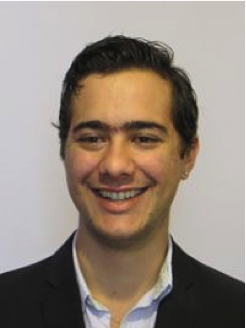 He developed himself as Project Engineer in different companies in Argentina and as research visitor at The University of Mancester (UK) before starting his PhD in UCD. The objective of his work is to propose strategies that can allow the secure integration of low carbon technologies (e.g., solar panels and electric vehicles) in electrical networks. This is crucial to archive the carbon-free objectives that we need to counterattack global warming. 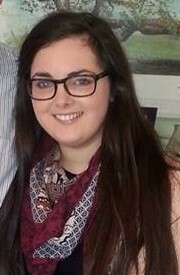 Grace is a final year PhD student in NUI Galway under the supervision of Dr. Aideen Ryan and Prof. Larry Egan. Prior to this she completed a B.Sc. in Pharmacology in NUIG. 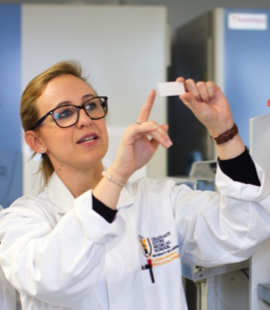 Her PhD work involves investigating how stromal cells in the tumour microenvironment can prevent the host immune system from getting to and attacking tumour cells. The aim of this work is to develop more targeted and effective immunotherapy regimes that will lead to better outcomes for patients. Outside of work her interests involve most sports, reading arguing her point in a good debate! 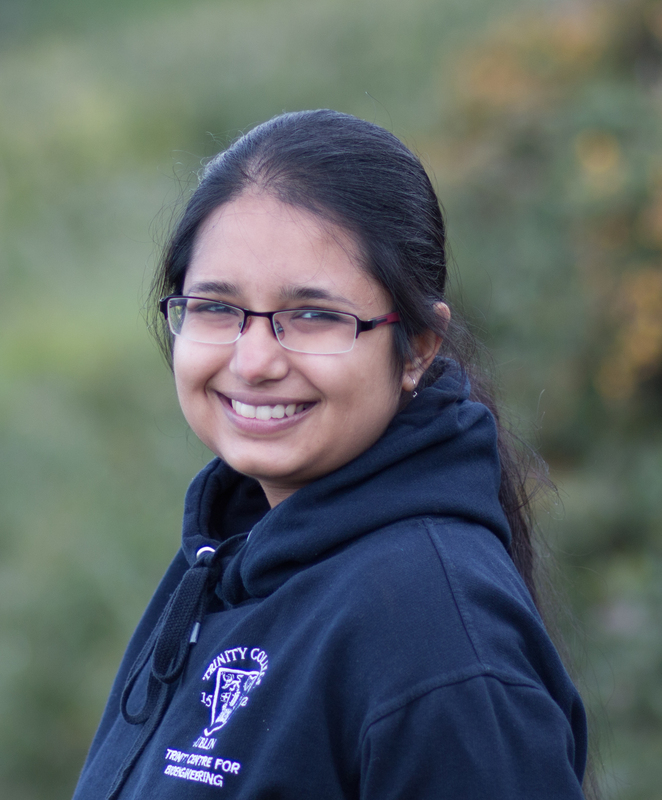 Rukmani is a third year PhD student in Royal College of Surgeons, Ireland, where she investigates the effect of implanted biomaterials on the immune system. She completed her master’s in biomedical engineering (from Czech Republic and Ireland) and has worked on diverse biomedical solutions such as immune engineering, nerve regeneration and stem cell therapy. She avidly follows all scientific and medical news, and is passionate about engaging the public in understanding scientific discoveries. 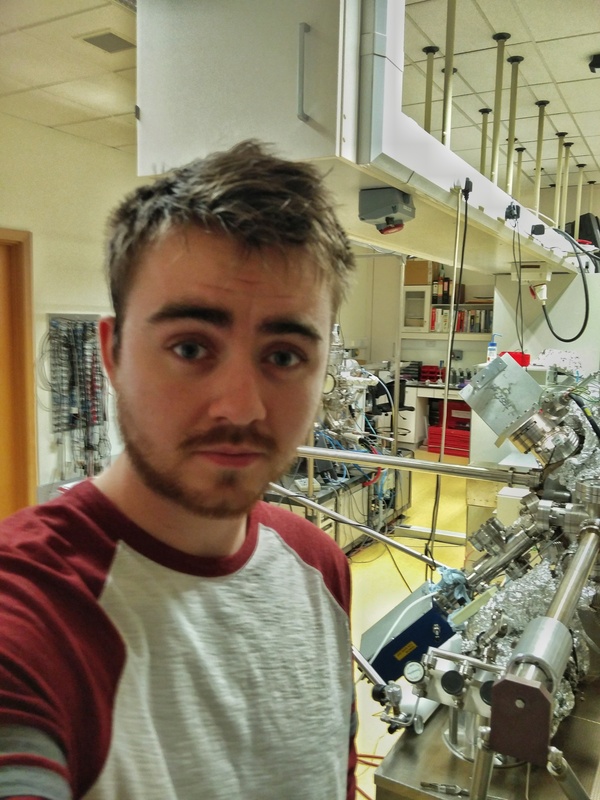 I studied Nanoscience, Physics and Chemistry of Advanced Materials in Trinity College for my undergraduate, I graduated from this in 2015 and then started my PhD studies in the AMBER (Advanced Materials and BioEngineering Research) institute which confusingly is primarily located in the CRANN (Centre for Research on Adaptive Nanostructures and Nanodevices) centre in Trinity, I work in the ASIN (Architecture and Synthesis of Integrated Nanostructures) group of Professor Georg Duesberg belonging to the School of Chemistry. After spending the first few months deciphering all of these acronyms and wondering why the world can’t be simple I started my work studying the topic of two-dimensional materials, the chemistry around them and their applications. Some of these materials have really interesting properties that will hopefully allow them to find their way into next generation computers and other technology. I have always had an insatiable interest for the world of science and technology I so am very passionate about the field I’m working in. 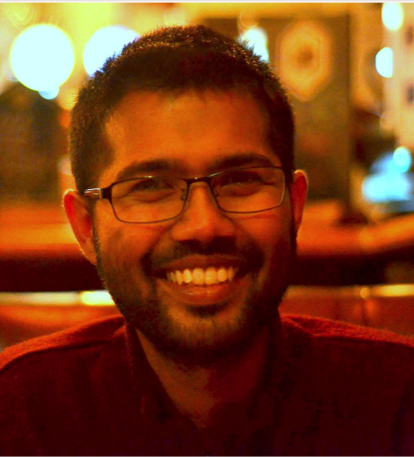 Ashutosh Tank is currently a postgraduate research student in Process and Chemical Engineering, UCC working in the area of food packaging. He origins from the west of India with a strong base of engineering in Food Processing Technology, Master’s degree in Food Technology and a brief yet exclusive industrial experience. His research interests have brought him to Ireland in UCC where he is investigating packaging solutions for fresh fruits and vegetables using modified atmosphere technology. Apart from his research profession he has a profound passion for cooking and creativity in combining different cuisines. 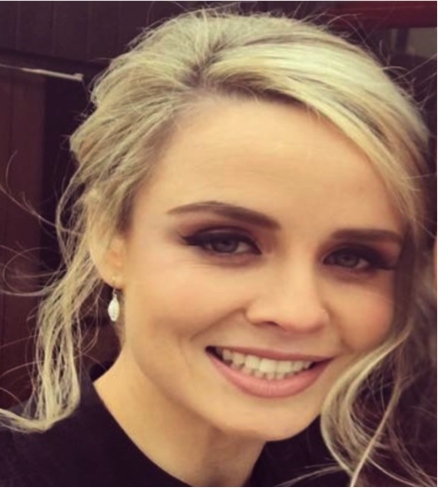 Beatrice Malacrida is a third year PhD student in the Graduate Entry Medical School at the University of Limerick working under the supervision of Dr. Pat Kiely. Her project is funded by SFI and is focused on elucidating the role of RACK1 at the ribosome and she is asking how ribosomal RACK1 functions in the progression of colorectal cancer. 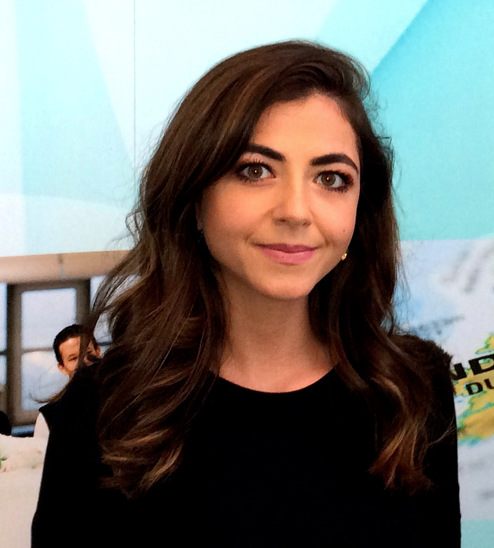 Beatrice is originally from Italy where in 2014, she graduated with an MSc in Medicinal Chemistry and Pharmaceutical Technology from the University of Pavia. I received an MSc in Immunology and Global Health in 2014 from Maynooth University. After that I was honored to join the Cellular Immunology Lab at Maynooth as a PhD student with funding from SFI. My area of work is transplantation and immunity, centered around understanding how the immune system mediates tolerance of transplants and how this can be used for therapeutic benefit. The specific focus of my project is type 1 diabetes, using a new cell based therapy to improve insulin cell transplant success. I’m currently in my second year, I have a passion for research in immunity and autoimmune diseases, and I love talking about science. 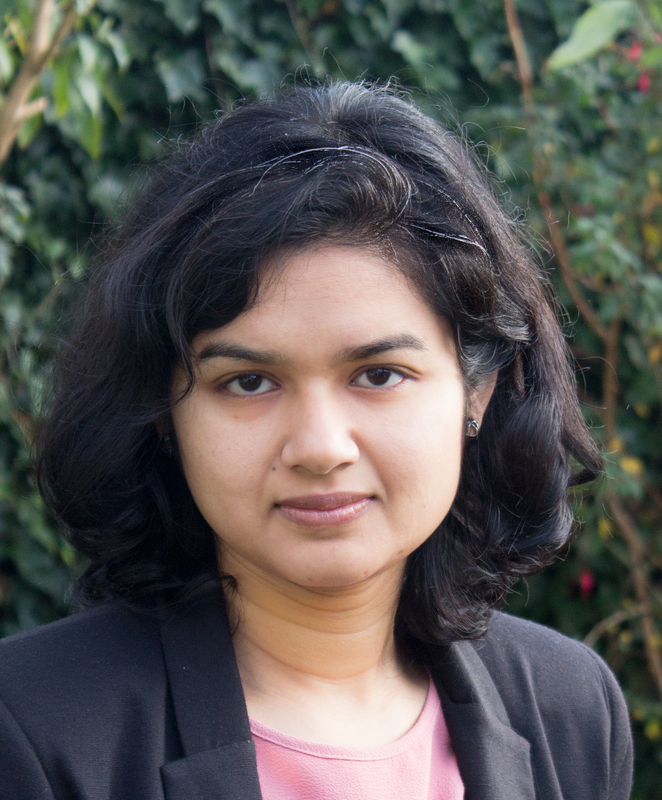 Sapna Negi is a PhD student at the Insight Centre for Data Analytics, affiliated to the National University of Ireland Galway. She has a Masters degree in Human Language Technology, and a bachelors degree in Computer Science. Her research interests lie at the confluence of artificial intelligence, computational linguistics, and business intelligence. She has published her recent research in some of the top tier conferences in the field of Computer Science and Computational Linguistics. 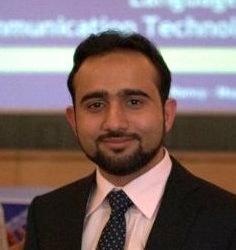 Fahim is a PhD student of Computer Science at ADAPT Centre in Trinity College Dublin. His research focuses on utilizing multimodality of video to support a new form of exploration within video content. He finished his Masters in Language and Communication technologies as an Erasmus Mundus scholar which gave him in-depth knowledge of various domains of language processing and hands-on experience with the latest tools and technologies available in the area. 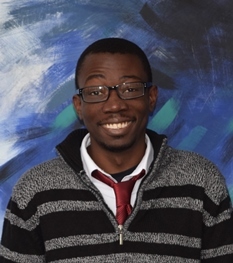 Ade, from Lagos, Nigeria has a BSc in Electrical/Electronics Engineering from the University of Lagos, MSc in Aerospace Engineering from Queen Mary, University of London and MSc in Mathematical Modelling & Scientific Computing from UCC. He likes teaching, solving problems and playing guitar. 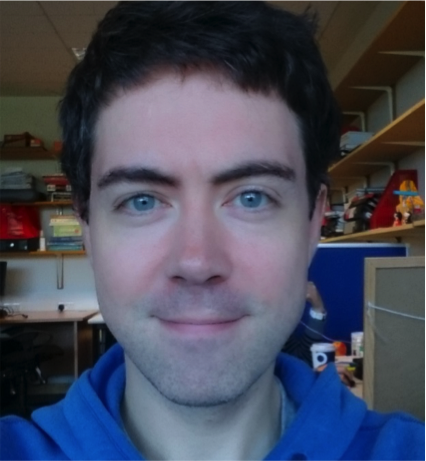 John Sloan is an MSc student in Computational Linguistics at UCD School of Computer Science. Prior to this he completed an MA in linguistics in the UCD School of Languages, Culture and Linguistics, where his focus was on non-verbal communication and feedback in performance. John is the creator of Emotional Response Language Education (ERLE), a personalised e-learning platform which utilises facial expressions to provide language students with instant, accurate feedback on their second language production. During a 7-year stay in South Korea, John worked as an English teacher while studying Korean. He taught at Samsung, LG and SK Telecom before opening a language academy for elementary school students. John passed the advanced TOPIK (Test of Proficiency in Korean) in 2014. Ahmad Ziaee graduated from Iran University of Science and Technology (IUST) with a BSc in materials science and engineering on 2010. He worked as a researcher at ceramic materials synthesis laboratory at IUST for two years. During this period his research was mainly focused on two aspects: Micro Arc Oxidation (MAO) technique for catalysis and biomaterials coatings fabrication, and optimizing and formulating of gel-casting process for aluminosilicate bodies. He published four scientific papers in peer-reviewed journals. 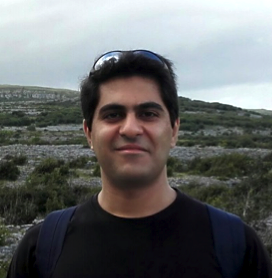 Ahmad started his Masters at University of Limerick on January 2014. His project which was funded by SFI research professor scheme, was jointly supervised by Dr. Tofail Syed and Prof. Michael Zaworotko. During which his research was mainly focused on molecular simulation of adsorption of CO2 in Metal-Organic Frameworks (MOFs) and could publish one paper in journal of Crystal Growth and Design. 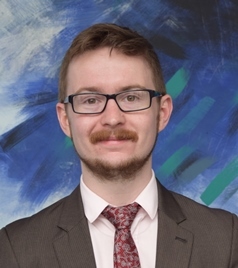 After his graduation he joined Prof. Gavin Walker’s group as a PhD student working on spray drying of biopharmaceuticals as part of MOMENTuM research group. 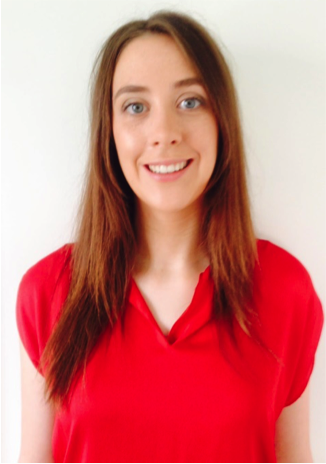 Niamh completed her degree in Genetics and Cell Biology in 2013 from DCU. She is currently in her final year of her PhD which is being carried out with Prof. Christine Loscher in DCU. Her role within the Infant Nutrition research group with Food for Health Ireland involves identifying novel compounds with beneficial immunomodulatory properties which will go on to be tested in food allergy model systems in order to assess the ability of these compounds to induce tolerance in infants with Cow’s Milk Allergy Protein Allergy. Bárbara Oliveira is originally from Lisbon, Portugal. 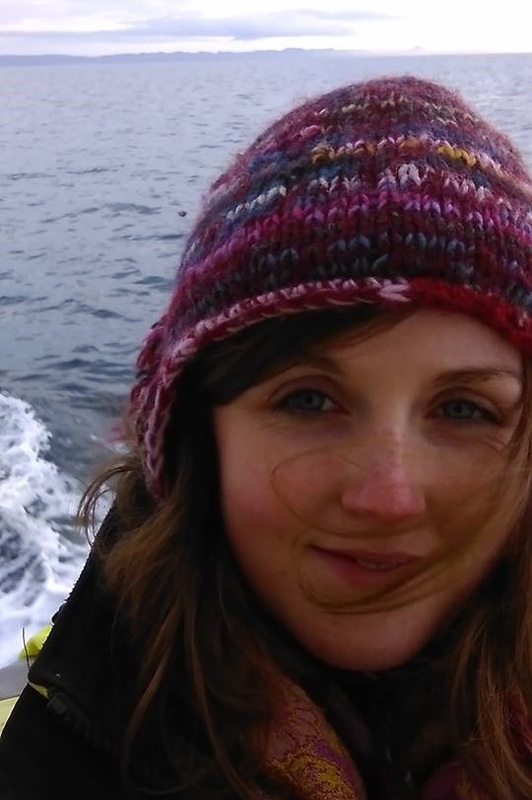 She is now a PhD student at the National University of Ireland Galway in Electrical and Electronic Engineering, with a full scholarship from Science Foundation Ireland. 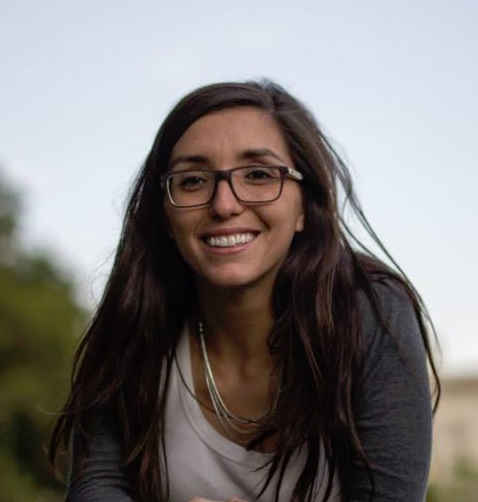 Her research is focused on the development of diagnostic tools for breast cancer screening, using microwave breast imaging in combination with machine intelligence. 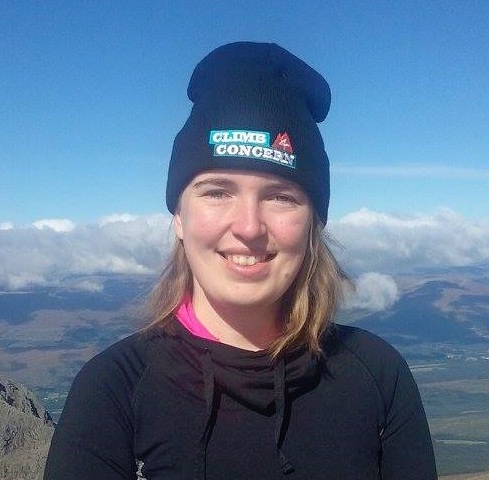 Hazel Murray is a CONNECT researcher completing her PhD under Dr. David Malone at Maynooth University. Her work focuses on the improvement of password authentication for the benefit of internet users and business websites. Hazel has a BSc in Mathematics Education and is a qualified secondary school mathematics teacher. She enjoys hiking, climbing and playing the bagpipes. 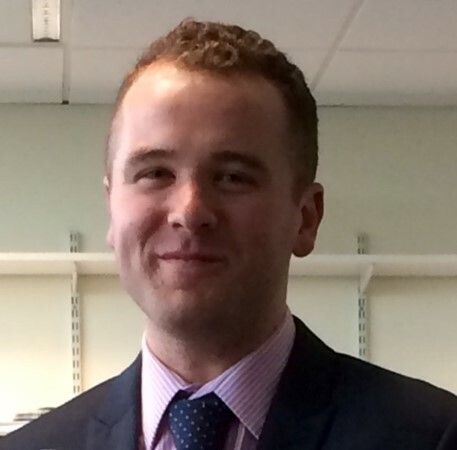 Aaron is a 3rd year PhD student in the School of Chemistry at Trinity College Dublin. After graduating with a B.A (mod.) 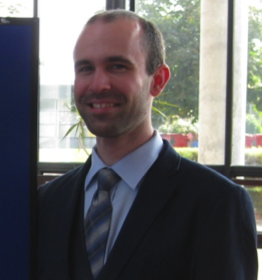 in Medicinal Chemistry from TCD in 2014, he joined the research group of Prof. Isabel Rozas at the Trinity Biomedical Sciences Institute to pursue his PhD with the support of an Irish Research Council Scholarship. His research focuses on the development of anti-psychotic drugs designed to be specific for one target in the brain – the α2 adrenergic receptor. The ultimate goal is to discover a new class of anti-psychotic drugs with fewer side effects. From Cork originally, Jonathan graduated with a BSc in Genetics from UCC in 2011. He did a Master’s in Research in Medical Genetics in Newcastle University in the UK, working on antisense therapy for Duchenne Muscular Dystrophy, then returned to UCC for his PhD on the role of the microbiome in colorectal cancer. In UCC he’s also involved with the skydiving, subaqua and archery clubs and was on the committee of the cycling club when it formed last year. Outside of UCC, he’s involved in Cork Admirals American football club as well as Swing Dance Cork. Since childhood I have been obsessed with horses, regularly riding and competing in equestrian events. My primary degree was a BSc at the University of Melbourne majoring in human physiology, taking a particular interest in muscle and exercise physiology. I then completed a one year research project looking for potential viruses as causative agents for paediatric Crohn’s disease; this is where I was first introduced to genetic data analysis. For my PhD my love of horses, exercise physiology and data analysis come together to investigate the genetics underlying athletic performance traits in Thoroughbred racehorses. 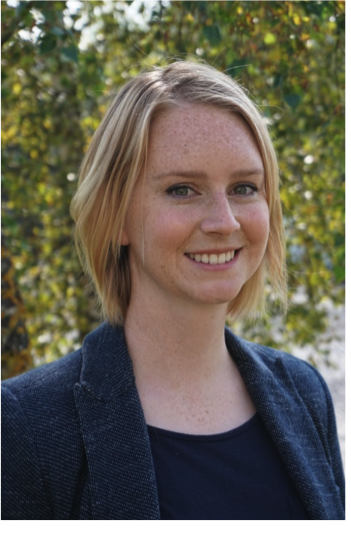 Sarah started her PhD studies in September 2015 in the University of Limerick funded through the Science Foundation Ireland CÚRAM Centre for Research in Medical Devices. Her research aims to model piezoelectricity in biomolecules, for applications in medicine and electronics. She graduated in August 2015 with a first class honours BSc in Applied Physics, also from UL. Her final year project, which characterised polymers for industrial applications, was highly commended in the 2015 Undergraduate Awards. She is also a 2016 Rosse Medal Finalist. A proud Kerry woman, she spends her spare time climbing scary mountains, playing board games, drinking tea and looking at cute dog pictures.